Disclaimer: I am not a doctor, this post is not intended as medical advice. The following information is my interpretation of research I have come across that has been adapted to fit my personal needs in my own opinion. The following links are affiliated and if purchased, at no additional cost to you I will receive a small percentage. If you’re new to TTC let me save you some time. There is no miracle pill, not one thing that will magically allow you to finally conceive. I do believe (and research has shown) that there are certain vitamins/minerals/etcetera that are crucial to conception. It is ideal to get all of your vitamins/minerals/etcetera from diet. It’s difficult to get the amount of certain things into your diet every day. 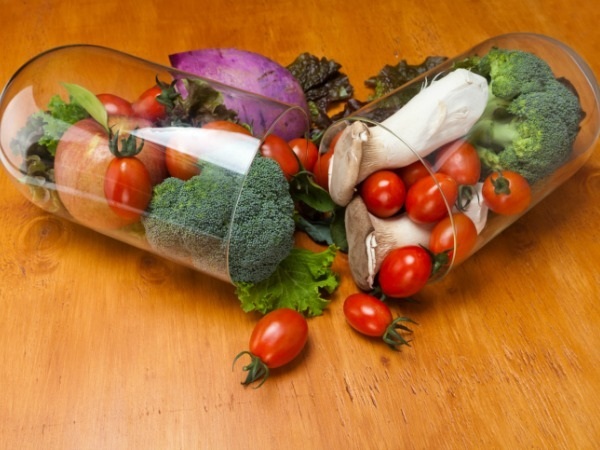 These pills are meant to supplement an already healthy diet. Not all supplements are created equal, and they are not regulated by the US government as to purity or efficacy. What this means is a company can sell you a bottle of “Vitamins” but those vitamins may be formulated in a way that your body CANNOT USE. If your body cannot use it, then there is no point in taking it. This is called bioavailability. I’ve done days upon days of research to find out what supplements are more bio-available, usually, (sadly) the cheaper the price tag, the less useful it is! The most common “name brand” vitamins are also largely useless (in my opinion). I’m going to be honest, I’ve spent thousands of dollars on supplements over the past year or so (and I’m still not confirmed pregnant (2ww)). I’ve scaled back a lot on my supplement intake, because in the beginning I had to have every magic pill out there that was promised to cure my infertility. I used Vitamin Shoppe auto delivery for a while, but I’ve found I can get the same supplements for cheaper on amazon also with auto ship. The Prenatal Vitamin – This is a must have #1 supplement. My Reproductive endocrinologist told me directly that I should be taking one, not a regular woman’s multivitamin. The reason for this is the extra Vitamin B9 (folate/folic acid). Avoid “folic acid” this is the synthetic version of Vitamin B9. I use this one because it has most major vitamins/minerals in the bio-available forms and at good levels. It has no fillers like a lot of prenatals do, and is gluten-free, dairy free, vegetarian & non-GMO certified. It also includes Vitamin D, probiotic, ginger, & sprouts. Methyl-folate & B12 – Women diagnosed with MTHFR mutations C677T and/or A1298 may need additional B vitamin supplements as folate is not well converted in the body. I am by no means a genetic specialist and the information out there is quite complex. My Reproductive endocrinologist said that because I have a “1286” mutation I do not fall into this category but I chose to supplement anyways. I recommend speaking directly with your doctor and doing independent research regarding your supplementation protocol if you are diagnosed with a MTHFR mutation. Over 70% of the population is estimated to have MTHFR gene mutation. The MTHFR gene is needed to convert folate to useable methyl-folate in the body. People with MTHFR genetic mutations cannot absorb folic acid (folic acid may even prevent natural folate from being absorbed) If you are TTC and you don’t know your genetic status, air on the side of caution and take a prenatal with Folate, but I think adding methyl-folate is over kill if you havent been diagnosed with a mutation. Omega 3’s – The best way to get omega 3’s is from marine sources. You can also get omega 3’s from plant sources but they’re different. There is no EPA or DHA in plant-based omega 3’s. Plant based omega 3’s are called ALA and only a very tiny amount can be turned into DHA. The increased fertility effect of omega 3’s is from the DHA, so although flax seed, chia seed, walnuts have omega 3’s, they are not the ones you’re looking for. ALA omega 3’s are still good but you really need the EPA & DHA for TTC and pregnancy more. This is a liquid form so you have to be brave, but this is a very high quality oil and this brand is known for its purity. This one is in pill form. Magnesium – magnesium is an often overlooked mineral that is has powerful fertility benefits. It’s estimated that up to 80% of women do not consume enough magnesium in their diet. Magnesium regulates other minerals in the body including progesterone production. Magnesium is also useful for reducing stress, and reducing muscle contractions. Again there are a lot of types of magnesium on the market, and they have different uses. I have found that Magnesium Glycinate is very bio-available and does not have the laxative effects that other types of magnesium do. CoQ10 – A lot of people see this as an extremely important supplement, especially if you are a woman with low egg reserve, or 35+. My reproductive endocrinologist told me that I do not need to take CoQ10, but it’s not likely to hurt either. I chose to continue to take it. There isn’t solid research proving increased fertility in humans using Coenzyme 10, but just because it’s not proven doesn’t mean it doesn’t work either. The dosage recommended varies widely, I chose to take 200 mg/day. At one point hubby and I were both taking 400mg/day. There are multiple types of Coq10 and Umbiquinol is the “active form” I have spent some time researching the difference and come to (my personal) conclusion that paying triple for the “active version” wasn’t worth it as neither have more proven benefits. Herbs- There are tonssss of herbs related to fertility, I have not seen a naturalist or chinese medicine doctor. List after list and in all articles and posts I’ve kept seeing two that stood out to me. Red Raspberry Leaf, and Dandelion Root. A lot of other herbs seem much more obscure to me, and you certainly can try them all, but I personally didn’t want to spend tons of money on random dried roots and leaves and stems. I found a brand that I like that is organic and much cheaper than some mainstream brands. Each bag is not individually wrapped, which I like (less waste). Red raspberry leaf tea is said to tone the uterus and is helpful in aiding women with recurrent miscarriages, heavy menstrual flow, endometriosis, fibroids and so forth. Red raspberry leaf tea is discouraged after ovulation because the “toning” action of the uterus could have a negative effect on implantation/early pregnancy. I don’t know of any scientific research regarding red raspberry leaf tea, but thousands of years of traditional medicine seem to believe it works. I like tea before bed as part of my self-care / relaxation routine so this works for me. Dandelion root tea’s theoretical action is liver detoxification, it is thought to save nutrients but remove toxins like hormone disrupting chemicals. Dandelion root tea is safe to take for the entire menstrual cycle, but since I use red raspberry leaf prior to ovulation I do not take both because I only drink one cup before bed. I also add powdered organic turmeric, ginger, cinnamon to my tea and stir. *My interperitation on lack of scientific research regarding herbs and natural therapies* In the US no patents can be owned on herbs/natural products, as these things were not “invented” by the discoverer. There is NO FINANCIAL BENEFIT for extensive research of natural products. Scientific research is expensive and time-consuming, when corporations are not going to profit off of it, there is no incentive to “prove” whether traditional/ natural therapies actually work. Therefor these natural remedies could vary from very effective / not effective / harmful. Next Early Pregnancy Test: Pro’s & Con’s.